Our talented team of personal contract tutors provides one-on-one, in-home tutoring for students of all subjects and grade levels. You don’t have to worry about coordinating your schedule around our tutoring hours, either: we coordinate our tutoring hours around you! Each private contract tutor comes to your desired location and at your desired time in order to make getting academic help as simple as possible. 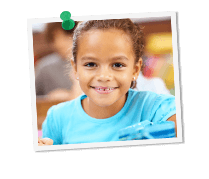 Whether it’s for elementary school math or college-level economics, every contract tutor offers personalized assistance designed to move students towards their goals. Our personal contract tutors cover all the subjects students learn, from elementary grades all the way through grad school. We know you just want your child (or yourself) to achieve goals without having to go through tons of hoops to get there. That’s why we provide personalized tutoring for all subjects and grade levels, for students throughout the country.